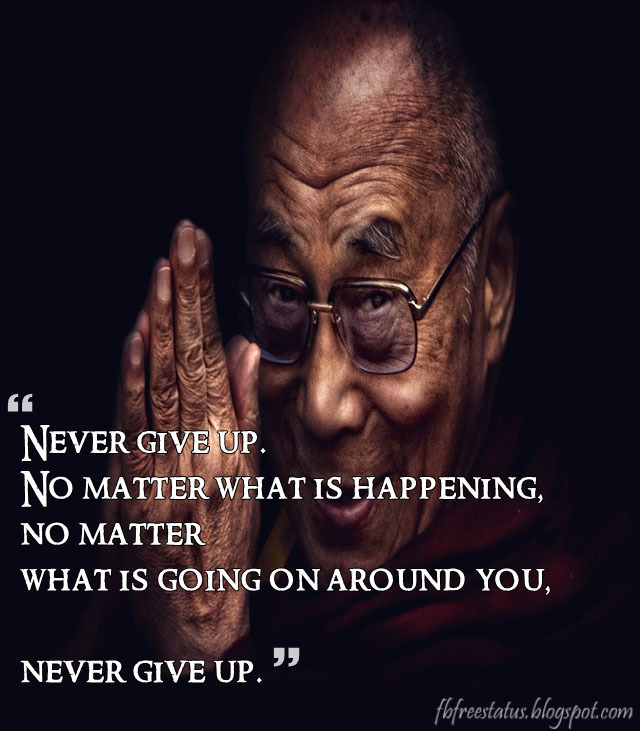 Dalai Lama Quotes is a collection of insightful quotes by the Dalai Lama. You may find that you are surprised by just how well these quotes can provide you with valuable wisdom for right where you are at the time that you read them. I hope you enjoy them. I love how he puts it, "If anything I've said seems useful to you, I'm glad. If not, don't worry. Just forget about it." The quotes offer a great deal of wisdom and insight regardless of faith or belief. ➦ The true hero is one who conquers his own anger and hatred. ➦ Be kind whenever possible. It is always possible. ➦ A good friend who points out mistakes and imperfections and rebukes evil is to be respected as if he reveals the secret of some hidden treasure. ➦ Hard times build determination and inner strength. Through them we can also come to appreciate the uselessness of anger. Instead of getting angry nurture a deep caring and respect for troublemakers because by creating such trying circumstances they provide us with invaluable opportunities to practice tolerance and patience. ➦ Where ignorance is our master, there is no possibility of real peace. ➦ You must not hate those who do wrong or harmful things; but with compassion, you must do what you can to stop them — for they are harming themselves, as well as those who suffer from their actions. ➦ If scientific analysis were conclusively to demonstrate certain claims in Buddhism to be false, then we must accept the findings of science and abandon those claims. ➦ When we feel love and kindness toward others, it not only makes others feel loved and cared for, but it helps us also to develop inner happiness and peace. ➦ Share your knowledge. It is a way to achieve immortality. ➦ Someone else’s action should not determine your response. ➦ The very purpose of our life is to seek happiness. ➦ Happiness doesn’t always come from a pursuit. Sometimes it comes when we least expect it. ➦ Let us try to recognize the precious nature of each day. ➦ If I am only happy for myself, many fewer chances for happiness. If I am happy when good things happen to other people, billions more chances to be happy! ➦ It is our collective and individual responsibility to preserve and tend to the environment in which we all live. ➦ Human use, population, and technology have reached that certain stage where mother Earth no longer accepts our presence with silence. ➦ My religion is kindness. ➦ Our ancient experience confirms at every point that everything is linked together, everything is inseparable. ➦ I do not judge the universe. ➦ True spirituality is a mental attitude you can practice at any time. ➦ The enemy is the necessary condition for practicing patience. ➦ Instead of wondering WHY this is happening to you, consider why this is happening to YOU. ➦ One of the basic points is kindness. With kindness, with love and compassion, with his feeling that is the essence of brotherhood, sisterhood, one will have inner peace. This compassionate feeling is the basis of inner peace. ➦ Happiness is not something ready-made. It comes from your own actions. ➦ If you can, help others; if you cannot do that, at least do not harm them. 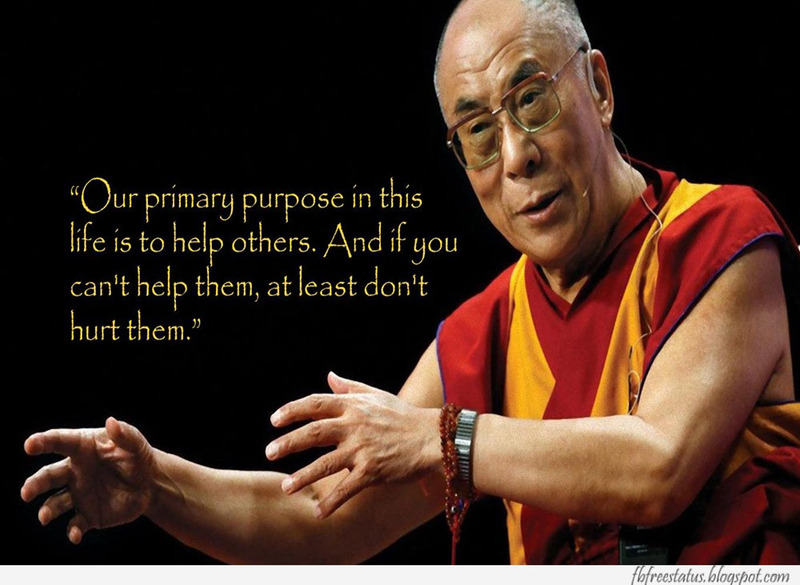 ➦ If you want others to be happy, practice compassion. If you want to be happy, practice compassion. ➦ My religion is very simple. My religion is kindness. ➦ Remember that not getting what you want is sometimes a wonderful stroke of luck. ➦ The ultimate authority must always rest with the individual’s own reason and critical analysis. ➦ We can live without religion and meditation, but we cannot survive without human affection. ➦ We can never obtain peace in the outer world until we make peace with ourselves. ➦ If you have fear of some pain or suffering, you should examine whether there is anything you can do about it. If you can, there is no need to worry about it; if you cannot do anything, then there is also no need to worry. 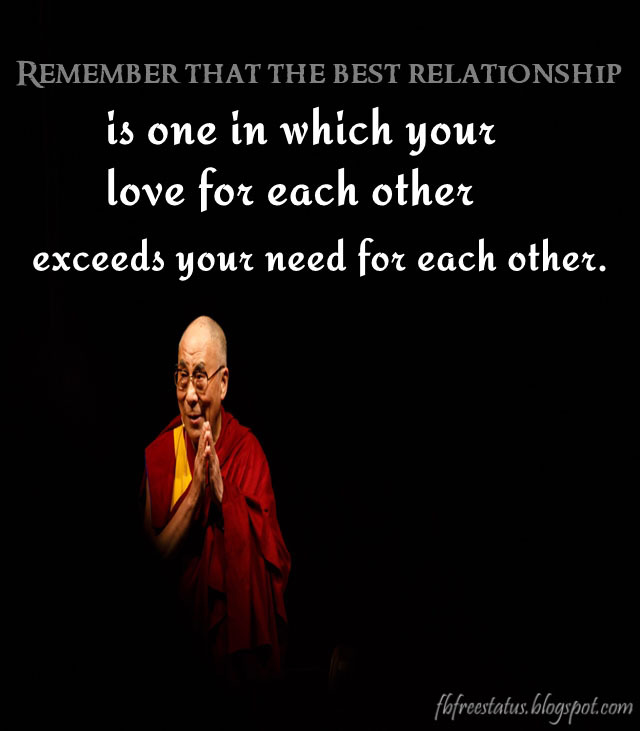 Please Don’t forget to share Dalai lama Quotes and Saying to your Friends and family member.